The FIDO (Fast IDentity Online) Alliance is an organization formed to address the lack of interoperability among strong authentication devices as well as the problems users face with creating and remembering multiple usernames and passwords. 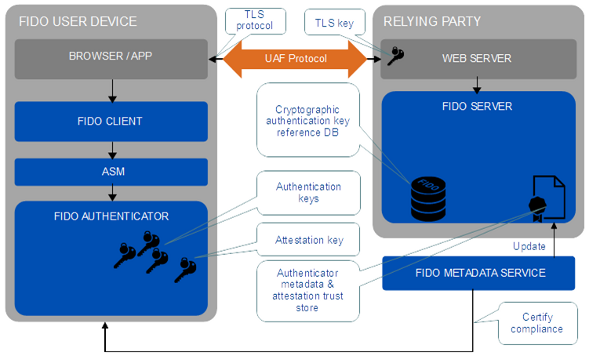 The FIDO UAF client implements the client side of the FIDO UAF protocols, and is responsible for interacting with specific FIDO UAF authenticators using the FIDO UAF authenticator abstraction layer through the Tizen.Account.FidoClient namespace. 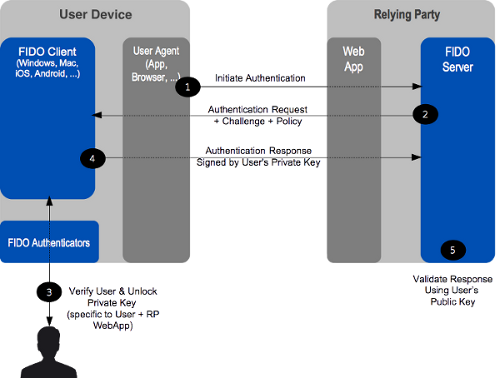 Before you use the authenticators, check whether the device can process the UAF protocol messages. The core UAF protocol consists of conceptual conversations between the FIDO UAF client and the FIDO server, which allow the server to prompt the client to register authenticators and authenticate the end user. 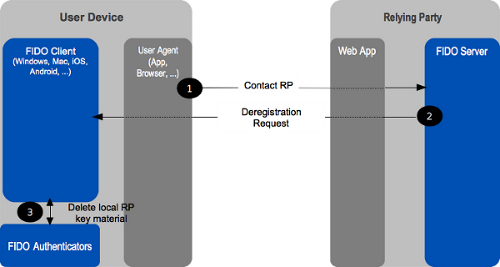 Deregistration is triggered by the server when it needs to deregister authentication keys.